The importance of building a brand has landed safely in Dahod, the home town of Sahaj in Gujarat. Karen de Loos, expert Branding & Communication at Women on Wings took the Sahaj team on a two days’ journey, explaining that keeping the focus on consistency and continuity of using that brand towards all target groups will result in growth of business, and ultimately in more jobs for tribal women. Sahaj seeks to promote sustainable development by offering better trading conditions to artisans and securing the rights of marginalized producers and workers. Sahaj is working with tribal women artisans of eastern Gujarat and provides home-based livelihood opportunities to address the issue of annual migration. 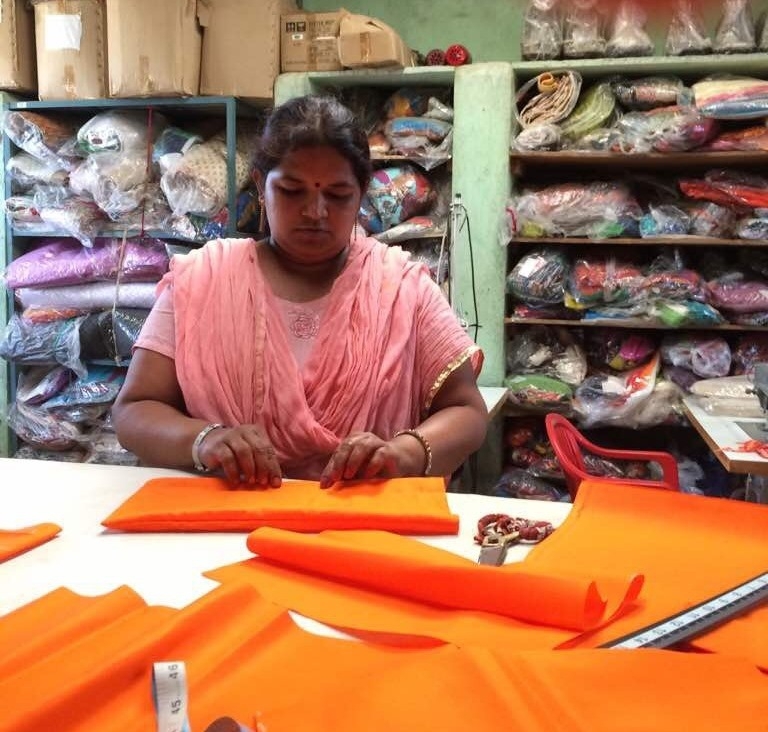 Since 2016, Sahaj and Women on Wings are collaborating in their joint mission of creating employment opportunities for women in rural India. Sahaj made the gift for guests at Women on Wings’ 10th anniversary event in the Netherlands: an orange Bahi Khatta (notebook of accounts).